Pionir Sports Hall is the largest sports hall in Belgrade after the Belgrade Arena. It was open 24 May 1973 near the sports complex "Pioneer" which is part of SRC "Tašmajdan". It was renamed to Aleksandar Nikolić Hall on February 2016 in honor of the legendary basketball player and coach Aleksandar Nikolić. The capacity of the hall is 5,878 seats and the press center with requirements for monitoring major sporting events. 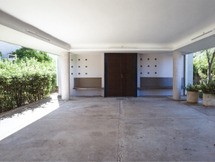 The hall is suitable for all kinds of sports, to cultural and entertainment events and congresses. It was built by Energoprojekt Belgrade within 11 months and designed by Ljiljana Bakić and Dragoljub Bakić. Certainly their most famous work is one of the favorite Belgrade destinations, but also an architectural icon of the post-modernist Belgrade of the 70s and 80s. The competition for the design of the complex and the sports hall Pionir was announced in 1972, with a deadline of only 9 days. In Energoprojekt, this task was entrusted to Ljiljana and Dragoljub Bakić. They drafted a complex that consisted of a multifunctional sports hall, a swimming pool and a velodrome. 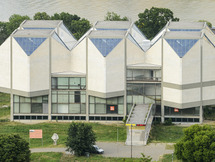 The first phase – a multifunctional hall, had to be completed and opened by June 1973 for the European boxing championships. The detailed design was developed in parallel with the construction of the building in, what Ljiljana called, “hurricane” pace: "We did not have time to wander in the labyrinth of our own brains. What was at work was our dissident instinct against any form of dictatorship, ruling clichés, petrified in the inviolable principles of modern architecture. The well-known rule of modernism, that the form should be the expression of the volume and contents of the interior, which in sports facilities is always the volume of the hall, Pionir did not follow. We wanted it to be the apotheosis of the spirit of sports and games, a dynamic protagonist of the urban scene."